Bar time! Park View DC reports that a new tavern has applied for a liquor license at 3549 14th Street NW. 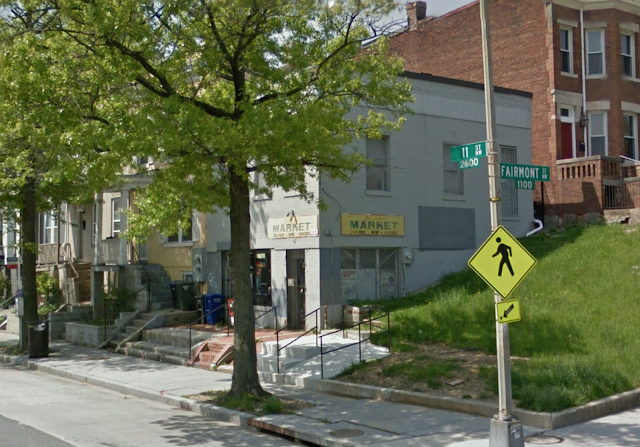 The name seems to be not chosen yet and I can't find much more about it, but the contact on the permit, Adanech Gebremeskel, is also mentioned in association with a place called Allure Lounge at 7th and H NE which apparently has not opened. The building has been empty for some time, so this seems like a good thing. 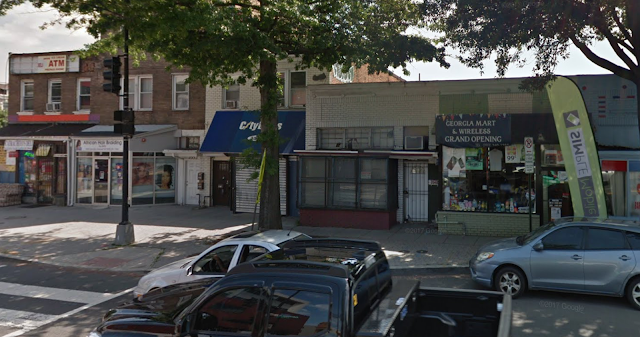 Before it was apparently Fred's Tax Office and some kind of studio. It's the white and red building above. I'll write more once I find out more. 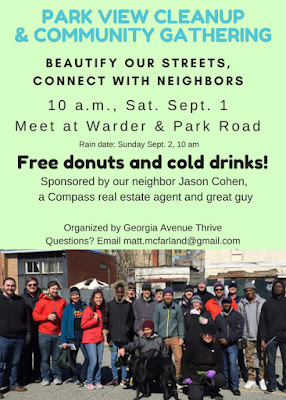 Here's a great way to meet your neighbors and help keep our area clean: Georgia Avenue Thrive has scheduled its next cleanup for this coming Saturday. Here's more. Hi friends, neighbors and community leaders -- Georgia Avenue Thrive will hold its next cleanup at 10 a.m., Sat. Sept. 1 at the corner of Warder Street and Park Road. Our wonderful neighbor Jason Cohen, a Compass real estate agent, will be thanking volunteers with donuts and cold drinks. Our cleanups have been recognized by Mayor Bowser. "Your good work is key to keeping your community safer and stronger," she wrote in a recent letter recognizing Georgia Avenue Thrive. I hope to see you on the 1st! Georgia Avenue Thrive is a volunteer-led nonprofit making our neighborhood more connected, inclusive and vibrant. We advocate for the neighbors, businesses and visitors of Lower Georgia Avenue. We formed in 2015 as the Georgia Avenue/Lamont Street Public Safety Task Force, due to increased crime. After helping the community address these concerns, we broadened our efforts. We’re excited to get to know you! If you like Vietnamese food, you're in the right place. 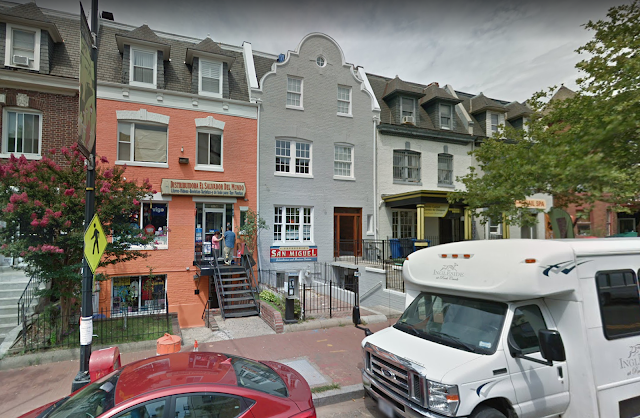 Our area has at least 6 Vietnamese spots, with old favorites Pho 14 on Park Road and Pho Viet on 14th plus newcomers Bún DC on Sherman, Vietnamese Chelsea on Park, Pho Viet USA on New Hampshire Ave, and now another similarly-named one: Pho Viet at 2628 11th Street NW. The newest Pho Viet recently opened in a former corner store (see above), and has good reviews so far from a few Yelpers. News site Hoodline has a positive review too and they've also applied for a liquor license. I think, but am not certain, that this place is related to Pho Viet USA, the one on New Hampshire Avenue, mainly based on the fact that their liquor license application says Pho Viet USA Inc. as their trade name, and a company with that name shares an address with the Pho Viet USA on NH. Confusing! 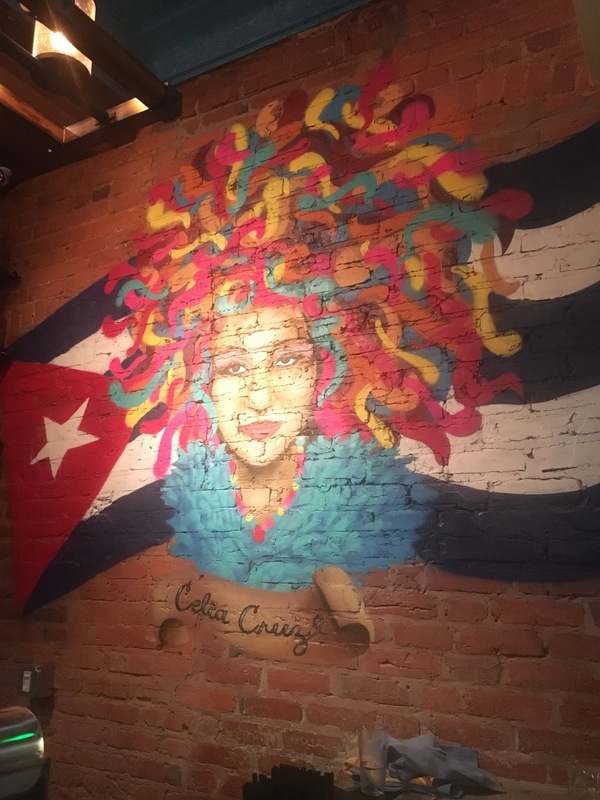 First look at Little Havana, new Cuban restaurant on 14th Street; plus photos! Cuban restaurant Little Havana has just opened on the budding strip of 14th Street where the Red Derby, Lyman's, Mescalero and Taqueria Habanero are -- we were able to visit for their opening a bit ago and really enjoyed it. 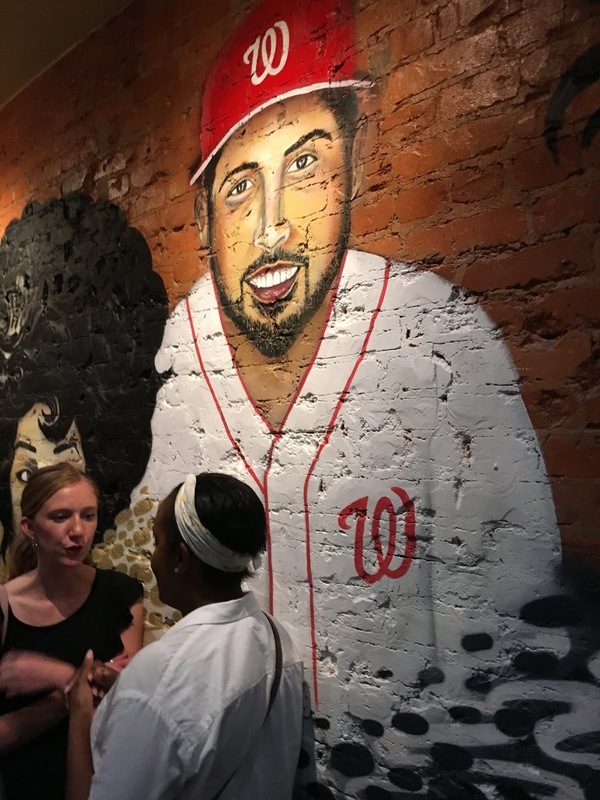 From Alfredo Solis, who also does Mescalero and El Sol, the inside is covered in murals of famous Cubans and Cuban Americans (singer Celia Cruz, Nats pitcher Gio Gonzalez, and so on) and has a really pretty open kitchen. The spot has 60 seats altogether in the dining room, bar and patio seating. Currently it's only open in the evening for dinner (the bar opens at 3pm, the kitchen at 4pm) but they're hoping to extend the hours. Ment items range from about $10-12 for appetizers and starters to about $20 for entrees, and everything was delicious. The Cuban sandwiches were excellent, and with the open kitchen you can watch the chefs make and press them. Other highlights were yuca fries, empanadas with corn and cheese, a type of fish toast (fish on grilled bread) as well as croquetas with jamón (ham.) Other items include braised beef tongue, oxtail, tortas and paella. There's also a wide drink selection, with a very fresh and delicious piña colada in a hollowed-out pineapple, pineapple and lime daiquiris, mojitos (both blended frozen and fresh) plus beers and wine. If you're an ice cream fan, here's something awesome: two employees of Dischord Records have opened an outpost of Maine's Mount Desert Island Ice Cream, based in Bar Harbor. The ice cream has had rave reviews over the year, including from President Obama. DCist has the story: the owners Brian Lowit and Melissa Quinley discovered it on regular trips to Maine and made friends with the owner, who suggested they open their own branch. The ice cream is made on site with the same recipes as the Maine locations, but with more local ingredients. There are 24 flavors including vegan sorbet, plus some seasonal ones as well as coffee and espresso. And given the connection with Discord Records, they may do music events too, like album releases or listening parties. They're open now at 3110 Mt. Pleasant Street NW, and there is outdoor seating. The location used to be Pupuseria San Miguel. Summer hours: Sun-Thu noon-9 p.m.; Fri noon-10 p.m.; Sat 11 a.m.-10 p.m.
Kraken Axes was a big surprise when it opened in the old Murry's grocery store at Georgia and Morton: it's a bar with axe throwing, a popular pastime in Canada, but not too well known here. I went a few months ago and had a blast, and heard about lots of other plans for the owners. And now, Eater reports those plans are underway. The space on Georgia is temporarily closed as they're renovating the inside, with the axe-tossing moving to 1901 1st Street SW, near the new DC United stadium. The plans for the current Kraken space sound pretty awesome: Kraken plans to add a 5,000 square foot beer and wine garden outside (facing Morton Street), which we previously heard would be Viking-themed. They're also adding a bar food menu with things like burgers and wings, as well as cup holders for axe-throwers. They're also considering a dance floor, a scotch whiskey library, a sports bar with rugby, cricket and soccer on TV, plus outdoor fire pits. Sounds ambitious and awesome. They're aiming for opening in the fall for Oktoberfest.